Help us out! Let us know what you think. We love to hear from our customers. H20 Hand Car Wash & Detail constantly strives at bringing our car wash to a new level. We have highly trained employees and use the latest technologies and we strive to deliver exceptional customer service. 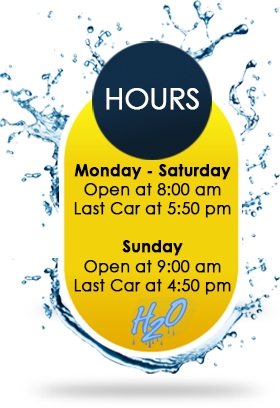 Were you satisfied with your experience at h20 Hand Car Wash & Detail? We are thrilled that you were satisfied with the services we have provided! Please choose which social media venue you would like to leave your feedback. Thanks!